Dear readers...it's a new year and I want to just talk with y'all a bit and clear some things up. After all, y'all take the time to stop in for a visit and I think I should explain some things to you that I have gotten questioned about. First off.....Why I have those GOD AWFUL ADS ON MY BLOG! In the last few months I have gotten emails, comments on posts and facebook messages about there being just too many ads on my blog. In fact the message on facebook was asking how her mother could unsubscribe to my blog. That one really floored me. I don't like the ads any more than y'all do, but I'm afraid they are a necessary evil. You see without that income coming in I would probably have stopped blogging a long time ago. 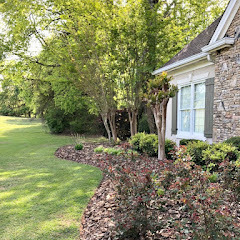 I share how we are slowly updating this twenty year old home plus the different ways I style my home and well those things cost money. The money is not going to come from Mr. Savvy because he is saving for retirement, since we were in the age bracket that got hit hard when the economy took a nose dive. Things are better now, but our retirement needs to be built back up. Also he really could care less that things change around here. If it were up to him I think that most of the house would be stuck in the 1990's time warp. :) He does like the changes I make and is certainly happy that I can make these changes with my blogging income. When I started making an income he told me I could use it to change whatever I wanted to in our home. Of course there are some big updates that I wish I could do, but they are just too big and way out of my pocket. When I started blogging in 2010 I had no idea that I would ever make money from it, but brands realized how blogs could reach people like you and me on a more personal level and wanted to use blogs as an advertising vehicle. It costs money for things to run the blog like cameras, lenses, editing programs, photo storage and so on. So even though the ads can be a bit of a nuisance I'm afraid they aren't going anywhere. I have controlled how many of those in image ads there are so they wouldn't drive y'all and me completely batty. I put a lot of time into this blog to hopefully inspire y'all and it's free for y'all unlike magazines, books and even television which most of us pay for plus advertisers pay for the programs we watch. So I see no problem with me getting paid for my time, too. Secondly.... Another comment that was left on a post actually made me giggle, but probably some others may think the same thing. How do I get Mr. Savvy to go along with all my purchases? I answered this somewhat in the first part, but like I just explained all the projects I've done have come mostly out of my pocket. He bought the bead board planks for the guest bath, but I paid for the tile floor and all that goes with tiling, the new granite counter top and sink, the faucet, mirror, light fixture, the toilet, had the tub refinished, bought all the decorative items and did all the painting. I am thankful for him being my carpenter so I don't have to hire that out, too. He also paid for all the lumber for the deck project, but I paid for the furniture and accessories. Again very thankful for my blogging income. In the past when I was working a full time job all of my paycheck was put in our joint account to pay for life, but now being empty nesters I am able to spend for things around the house and it sure feels good and I also help make my car payment. Another thing.. I don't want anybody to feel bad about their home or themselves because you look at mine and other bloggers and think life is always picture perfect. My home does not always look like it does in photos. I'm a real person with a real life and messes just like you. 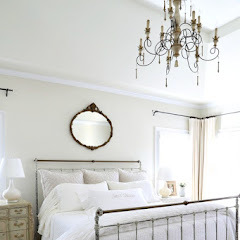 Rooms are cleaned up and styled for blog posts to give y'all some inspiration for your own homes. If you were to walk in my house now you would find paint cans on the kitchen counter and laundry in the basket waiting to be folded and put away, closets and cabinets and even rooms that need to be cleaned out. Many will comment on how do I pump out projects so quickly? A lot of the time projects are done and shared later. They weren't just done the day before I post them.....well, sometimes. Besides blogging I still have this house to clean, laundry to keep up, groceries to buy, meals to cook. and the yard to take care of during the warm months. I actually have two projects I did months ago and never shared. I will soon though. I had my blog redesigned recently to give it a cleaner less cluttered look and I hope it loads a bit faster. If you have an ad come up on a photo just click the x in the corner and bam it's gone. Same for the banner ad at the bottom of the page. Just click on the down arrows on the right and it will go away. If you have a question about something like where did I buy something or what is that wall color, etc., I'm glad to answer it, but you can also type in the search box on my sidebar and several posts should pop up that may answer your question. I hope some of this clears up why I have the ads and what goes on behind the scenes to write this blog. I love sharing with y'all and I have already been changing up some things around here after all the holiday decor came down. I seem to go into this crazy nesting mode after Christmas. I"m looking forward to sharing with you in this new year so stay tuned. If you have any blog post ideas for me just let me know in the comments. Oh, and the shots above are of a new vignette in the dining room that I took practice shots of with my new camera and lens that was a gift to me from me. :) I just threw this together after removing the Christmas decorations. It's simple and clean and I left the red berry branches and pine cones for a touch of winter. More winter decorating ideas coming on Friday as I join some other bloggers. Gracious! I visit your blog because I like it, along with several others. It's kind of like the daily newspaper for some. If people have a problem with ads, etc. no one is holding a gun to their head, making them read your blog. It is YOUR blog for you to do with as you wish. If you want to make money, then you should!! Honestly, I have no problem just ignoring ads. I also have adblock software on one of my computers, so perhaps the complainers could do that. It does make me a little uncomfortable reading your personal financial business. That is your business and you shouldn't have to explain it to anyone. I hope you won't let the complainers bother you - there are lots of people who read your blog, ads or not. Thanks, Tina. I am glad you ignore the ads, but there are so many who haven't and have said something. I just want to clear up why I have them. Dear Kim, I may have the world's lowest decorating ability. I enjoy your blog and get some inspiration to make things look nicer around my house. It's fun to watch you pulling things together. The ads are just part of the price paid for an enjoyable blog. Thanks! Thank you, Florence. I'm glad I can give you some ideas to use. Always a pleasure visiting you Kim; worth a little "x" clicking to come see you! Kim, I am sorry some people have been offended by your ads. I am so very grateful for your blog. You have made me feel like I have a friend to have coffee with and I always think we could be friends in person. I enjoy your blog, and you motivate me with your ability to design, share, and earn money to be home. My son put a ghost blocker on my computer for me so that the blogger ads would not pop up and freeze my screen. This is a suggestion for your other followers. Thank you for encouraging me and helping me feel a little more motivated and a lot less lonely at home! 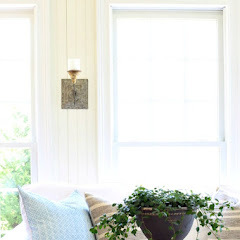 I am more than happy (as in very happy) to see the ads on your blog if that allows you to be able to share frequent decorating projects, ideas and valuable content for those of us that love your style. The redesign is great and your site loads faster than many blogs that I follow. Very few of us are independently wealthy. My hubs and I are retired emtpy nesters and we know life is expensive! So making money on your talent is great! I am inspired by you every day. You go girl! I, too, just ignore the ads I don't to read. Thanks for sharing your ideas and thoughts....keep up the good work! Oh boy - You are a grown woman, not a teenager who has to explain how you spend your money. I can't believe that people ask you these questions. You work very hard to have the things you have, and no one should be questioning that. It's nice to see all the things you share with us. Even one little post can give you great ideas for your own home, and I know that is your intent. Keep doing what you are doing - I love it. Thanks Kim. Well said Kim....I must say that due to me limiting ads, it does cost me more out of my pocket to run my blog...Thanks for the inspiration that you give us..!!! Hi Kim--As far as I'm concerned, I reap the benefits of your "job" every morning so I'm glad you get paid for it and turn around and share your ideas. And I bought a couple of Christmas presents from the ads that popped up (like Antique Farmhouse) and they were a hit with my family! So keep up the good work but thank you for sharing more than you probably needed to! Have a Happy New Year! Thank you, Susan. Just putting it out there for those who don't seem to understand why I have the ads and what it takes to run this blog. Your blog is always one I seek out regularly. I have had more trouble recently though, with it taking so long to upload. However today it was a snap, so if you did something or if my computer decided to be nice to me- regardless I am happy you blog!!!!! So glad to hear it loaded quicker! I think you answered the questions with grace and understanding. I started following you when you were on "Rate My Space". I about freaked out when I couldn't find you on there, and I some how stumbled onto your blog back in the day when blogging was new to me. Thank you for sharing your beautiful home and incredible talent. I also found some of your pictures on Houzz and silly me though "Hey there is my friend's house". Your blog is my first bookmark on my google bar and I visit it almost everyday. Wow, you have been following a long time and through all my style updates. Thanks so much for visiting! Why shouldn't you get paid for your efforts. Most artists find an avenue to reimburse them for their time and talent. Ads are part of the current world we live in, Google, Microsoft and Apple rule the world now, and they certainly get paid for their product. This is your product, we can read it or not, the choice is ours. Being a Southern woman, I know we feel we need to apologize for living, but we don't now. So do your thing. Thank you, Rebecca for leaving a comment. I wish I made a ton, but I'm happy with what I do make to do the things I can around here and to bring y'all some inspiration. This is what make you be able to bring all the work, decor ect to your blog....the ads so I am sure people will just have to deal with them. It is not like your asking them for donations to help keep it going so they can get all this great info. Do not worry, we love your blog.....ads and all....LOL ~hug~ Have a blessed day hun. Thanks so much, Msmoozys Open House! Great post Kim and thanks for your honesty. Most of what you shared I had figured out but I think others could take a cue from you and be more honest too. Yes, the ads are annoying but not enough for me to stop reading your blog. Looking forward to 2016 and seeing what you do! Thanks, Sharon and I'm glad the ads are not overpowering. Honey, we are a free society but this free society is not free. Driving the highways, ads hit us in the form of billboards. Television must have advertising to stay afloat. Advertising is part of this free society. I am 73 and look forward everyday to your blog. You make my day. I know it's hard to hand criticism. But, look what's happened. Your friends (readers) have, as I have,come to lift you up in your time of need. Keep up the good work, sweetie. Your "Aunt" Phyllis is watching and praying for you. Best Wishes for the New Year. Thanks for your kind words, Phyylis! Thanks, Holly. Yes, I think most bloggers get it even though there are a few who don't. Your posts are inspiring, your photos are beautiful. Like commercials on TV,ads in the paper, ads on blogs, I read which ones I have an interest in, ignore the others. Keep up doing what your doing, I'll keep following. I did notice your blog now loads much easier. Previously it had been somewhat difficult for me to view. I'm liking your new look! So glad it loads easier now, Mary Alice. Great post Kim I don't think everyone realizes that for bloggers this is a job and our income. I earn more from blogging than going to a full time job and get to do what I love. Thank for sharing this for all us bloggers. Kim, I feel just like the others. If not for the ads, we would not have your wonderful blog! I don't think people realize it costs you money to run the blog either. You and a few others inspired me to start a blog and until you do it you have no idea of the expense and time involved. But I love my new life doing projects and blogging about it. Thank you so much for making me realize although I am retired I can embark on a new and fun career. Thank you, Debra and I'm glad you enjoy sharing on a blog like I do. Well said Kim. Just sorry you have to explain yourself to those that do not like ads on blogs. If you don't like the ads move on! No need to be rude or harsh with someone like yourself that needs the income to run their media spaces. We cannot watch our favorite TV programs without seeing ads so it is just a necessary evil we have to deal with to enjoy these things. I think the majority of us bloggers get that ads are necessary to run the blogs so I would not worry about the minority that cannot see past the ads. Love your blog and all the inspiration. Happy New Year. I appreciate you being open and honest about advertising. Many bloggers are not, and that is a shame. Keep up the great work! Kim, I think you're doing it all just right. In fact, you're among a select few bloggers whom I look to as a mentor because I aspire to do it as well as you do! I love the redesign and everything is clean and easy to navigate which makes it easy to get to your delightful content. The only ad I have ever had difficulty x-ing out of is the one some blogs have at the bottom which covers a good bit of the content (because the x somehow is always under the scroll bar) but I don't see it on your blog now, so you either never had it or removed it. The way your blog looks right now, the ads are perfectly integrated, the design is cohesive and I hope you make plenty of money so we can all benefit from your continued design and home development... :-) Happy New Year!! Thank you, Margaret. Afraid complaints come along with almost every job, but I'm not sure all my readers understand the work behind the blog. I'm so glad that blogging not only provides readers like me with inspiration and information, but that it CAN and DOES generate revenue for those bloggers like you, who are willing to share their views of their world and their creative activities. Yours is one of my favorite, most-often-visited blogs, regardless of the ads, whose value, as a writer and marketer, I also understand completely. It's well worth a click to move them out of the way if I wish, in order to read more easily about your latest efforts. Can't wait to see what's new in the weeks and months ahead! Thanks so much, Leslie for your kind words and understanding! I read the ads. Advertisers rest easy...not all readers zap you. I'm sure they appreciate that, Carole. Very well Said Kim. I struggled with the idea of using ads when I first started blogging but you're right, I couldn't do it without that income. Thanks for all of the inspiration you share and looking forward to what's next. Well said, Kim. I actually found a popular blog yesterday (had heard of her but never visited her site till then), and she has a column at the top where she posts her monthly income in detail. You inspire me every day. Keep it up. Wow, Janette, I don't think I could go to that extreme. I love your blog. Seeing Savvy Southern Style in my inbox is a blessing. I find it inspiring anytime someone can make a living doing what they love. Keep up the good work!! If you are happy, then you should care less about what others think or say. I know I don't. You, for one, have stated that my pictures on the blog are not professional. I take the criticism, but I still have not budged to obtain a fancier camera. I on the other hand am not doing this venture to get accolades or money. I do it as more of a diary that I look back upon. I simply have been blessed by such active followers, folks who have become "friends". I applaud your money making skills.I know a lot of work goes into your blog. Happy New Year! Again, Ron, I never said they were not professional. I made a simple suggestion as I had learned was not to use a flash when taking pictures. It doesn't reflect what the space really looks like because it darkens the background and a lot of the time the flash will reflect in something. I have not used a flash in a couple years. Happy Blogging, Kim! For me, it's all about inspiration. And girl, you are inspiring! Oh, how sweet of you, Mary! Thank you, Cynthia. I am so glad it loads easier! Thanks, Donnamae. So glad you feel like we are having coffee together. That is the way I want you to feel because I do write just like I speak. Hi Kim, I don't comment often but had to today. Just about every morning I enjoy your post and see no reason for you to explain or justify! Whether to read your blog, or not, is each person's choice so for those with no patience for the ads, they should understand and not complain. Keep on doing what you are doing and Happy New Year! Thanks so much for reading and understanding. Oh my gosh..... people are amazing.... I started a blog about the same time that you started this one, a different type of blog but a blog.... let me tell you PEOPLE blogs are a LOT of work.... and I am thrilled for those of you who have been able to make money from your blogs.... I LOVE your blog it gives me inspiration to do the projects around our house, and for those who don't like the ads..... I say REALLY???? You cannot watch a television show, open a magazine, read FB, check your email, or your snail mail without getting an advertisement in it.... get over yourselves.... and Kim you just keep posting, and I will keep reading because you are AWESOME and I LOVE your style!..... Blessings to you and Mr. Savvy!! !, keep the dream of living a beautiful and gracious life alive for all of us..... Blessings from California Curtis & Sherrie Chipley. Wow, Curtis, thanks so much. Your words just lifted me even more!! I really enjoy your blog, Kim! What I like about the ads is that they link to the kind of items you (and I) like and would want in the home. You are justified in pointing out how it takes income to make it all happen on your blog and those ads do make it possible to do what you do. I spend money on magazines for inspiration that are filled with ads, which is no different. Thank you for all that you do to bring your blog to us, your followers! I think ads just come with blogging and I don't let them bother me when I read your blog or others. I am not a big enough blogger to really have them and I don't make money off of my blog, but would like to some day. Keep up the great work Kim! Darielle, you can have google adsense ads anytime and I would give that a go. You never know unless you try them. Kim, I love your blog and enjoy reading all your inspirational posts each day. It takes an enormous amount of work for you to post each and every day. I know what goes into styling and editing photos when blogging (I blogged for a couple years at The Delightful Eclectic Abode) while working full-time and it was well, just too much. I didn't have any ads or get paid so I decided to stop. I don't mind the ads because I know I can just click on the X and they will go away. Sometimes there are some interesting ads and I've found some nice websites and products by clicking on them. I'm so glad to hear that you are generating some income from creating free content for all of us to read each and every day because I know the work that is involved. You really don't owe anyone any explanation but you explained it so eloquently to those that just don't understand why the ads are there and how they can get rid of them. Just keep doing what you're doing because I look forward to reading your beautiful content. I just love the way the bloggers who stuck with this adventure have graced the covers of magazines (I have yours) and written books. This blogging world is something that I thoroughly enjoy! I love both you and your sisters blogs so much!!! Sandy, there is no way I could do this and work outside the home, too so I understand why you had to let the blog go. I don't know how young moms with kids have time to blog either. Thanks so much for reading! you even have to explain anything. It's your blog and you can do what you want, and it's a fabulous blog. Keep doing what your doing. Kim, I had a lot to say here but I think I'll just echo Curtis. I tried to write a blog, for about 5 minutes lol. It's isn't only that it is a lot of work, it's also a talent. Good bloggers deserve to be compensated. I've seen similar post like this from others (Miss Mustard Seed and Thrifty Decor Chick spring to mind). I like your response best. Don't apologize for making money for providing a service. I really enjoy your blog. Here's to another great year! Awe,how sweet of you. I had read Miss Mustard Seeds', too last year when she shared. Kim, I think your decorating and home improvement skills are terrific! You obviously work hard and enjoy what you do to make your home a joy for so many of us to see. 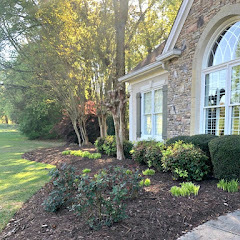 Making a house a home doesn't happen overnight, and although changes and improvements keep things fresh and interesting, there are expenses involved. Just know that what you do is appreciated! You know I won't let an ad stop *me! * Look forward to seeing all of your projects this year! You are so fortunate to do what you love, get paid for it AND inspire others, such as myself. Clicking on a few x's to get decorating ideas is the least of my worries. I, too, have clicked on the sites on some of your sponsors. I enjoy your blog and look forward to the upcoming projects you have to share and to seeing little Miss Bailey photobomb your pics. Wishing you a healthy and happy 2016!! Thank you, Laurie. I need to add her more often. She is actually good about letting me take pics of her. I didn't read all the comments so I may be repeating others, you are one of my favorite bloggers, I love your house, I will never live in a house like yours nor am I jealous. If the ads make you able to share then I am happy for you. I have stopped reading others bloggers who never stopped trying to sell me things but sharing or ads are different. Wendy, I am so trying to talk Mr. Savvy into downsizing. It is going to me too much to take care of as we age. 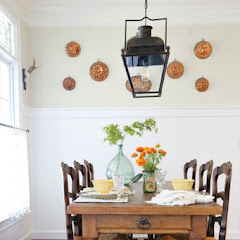 I would love a small farmhouse style home with much less in it. Thanks for reading! I am never bothered by the ads on your blog. I don't find them to be overwhelming or intrusive; in fact, I admire you so much for building up your own lucrative blogging business! I went into blogging with the idea of making an income, but, other than google ads, I haven't been able to make that happen yet. The reason is that I realized how much HARD WORK it takes to have a great blog that makes money, and I just haven't committed myself to that. Maybe when I'm an empty-nester! In the meantime, kudos to you, Kim, for your blogging success that brings in a well-deserved income for all of your hard work! Thank you, Amy. I'm still a little blog compared to the big boys, but I am happy with what I have and I'm not trying to get bigger and bigger. First, your blog is SOOO much easier and quicker to load for me! So, that worked great! I love your blog and all the inspiration you give to all of us. So, instead of criticising you, I want to thank you for all you do. Happy New Year, Kim. i don't have a blog. I let wonderful, energetic, creative people such as you do all the hard work. I'm sitting here thinking that having a blog must be incredibly time consuming and I'm very grateful that you and others are willing to share with me each morning. I didn't read all the comments so this may have already been suggested. If you tap on the four lines in the left of the address box, you will do away with all advertising. Hope this helps some people. And thanks so much for sharing your creativity. I love your blog! Kim..the ads don't bother me at all. I have purchased many items from ads on blogs. I am sure we out number the people that complain. Just like others have said "just ignore them" but I DON"T. I love your decorating and wish I had your talent. You go girl!!! I'm glad to hear you have purchased from ads on blogs. I have, too when I'm on other blogs. Thanks, Bonnie! Kim, I have been reading your blog since the beginning and I think you should have ads on your blog! You work so hard to provide so much inspiration and quality content for us all to read. Of course you should be compensated for that! I think people who don't write blogs don't understand the time and effort that goes into them. (By the way, my internet went out when I left a comment before so this may end up being a duplicate version!) 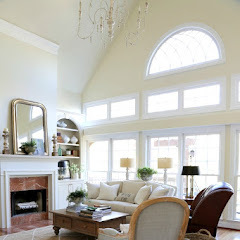 Anyway, it goes without saying that my heart would be broken if I didn't have your sunroom to stare at every season...that alone is worth the ads - lol! Thanks, Shelley. Yes we have followed each other for years! The ads don't bother me either. Thanks for the reality of your house not looking like your photos all the time. I really clean for company and they can't imagine it ever getting messy, but it does! Thanks, Carol. Yep, a mess is all over my kitchen right now. Just want to say that my problem with all the ads is that they take FOREVER to load and most times I just can't sit and wait that long to stay and read your post. I have tried it on two computers at the office and home and there is no difference in the time to load. You are losing a lot of viewers because of that. I don't care how many ads you have or even who the advertisers are -- that is not a problem for me. I just can't wait and wait and wait to see you have done a post of moving a pillow from one room to another. Can you discuss this with your webmaster to see if he can design a program to speed up loading? On my blog I do not take ads as I have a full-time eight-hour day job as well as running a business 24 hours a day. It is just a personal choice that we make. Thanks for your openness to discuss these things that have been frustrating you and your followers. Do what makes you happy. A lot of people love what you do. Honestly, I had to quit looking at it for a while because the ads got so bad I couldn't see your actual post. I don't see any more of that now since your recent redesign. Your money is your business, but I am sure, given the trolls on the internet, that you have gotten a lot of grief. So -- Happy New Year! I'm glad you can read my posts again without the frustratingly slow load time. Glad to have you back! Kim - I hope that everyone understands, now, the why of ads. I have noticed them increasing over the past months - and the ad companies have been a little sneaky in reloading them once I clicked to close them. Reading on my computer has not been a problem overall but if I only had my ipad I head to skip reading because the adds and the ipad didn't play well together. I will find a way to get a chance to read your posts because I enjoy them so much. Funny timing on this post - so many of the blogs I read had/have the same issues that I was getting ready to email a few of you and ask your opinion on the best way to handle the ads from my end. This blog is your job and I enjoy and respect what you put together for us! Yes, they are sneaky. I have even had trouble with them popping back up after x-ing them out. The site should be mobile friendly now with my new design. What the what!!!! Let's talk about your new camera What did you get? I got a new canon early December, still playing around with it. New Canon D6. I'm still learning it, too. About the ads. They don't bother me. I just chose not to do them. I have a little "mad money" put away for the house. Might have to replenish it someday though. I like your new page design! Pat, I'm surprised you already don't shoot on manual. Never heard of a lens that only works on manual. I bought a 40mm lens since I have misplaced my 50mm lens and I think it will show up somewhere. I have no shame. I must admit...when I am in a hurry I will click right on over to auto or even use a point and shoot. :-) The new lens is 85mm 1.4. A friend has one and I loved how her photos looked so decided to give it a try. It's a little heavy, but that is okay. Getting the right light is key, at least for me and we've had some pretty dark days over here. :-) Hope to get some practice in and see what I can do with it. Just a quick thank you for all you share with us. Love your house and all the inspiration from the work you put into it.You're making a difference. Not everyone can. I use firefox and have adblock plus, so don't get the ads. Do those that complain not know if they don't like the way someone has their blog set up, post, etc., they can "surf on by"? I have stopped reading many blogs for various reasons, but don't complain to the blogger. It is their blog, and their business how they run it, not mine. You don't have to justify what you do to someone hiding behind a computer screen with to much time on their hands. Off to pour a glass of wine, eat the last of my yummy cinnamon glazed pecans and call it a day. Thanks, Glenda. Wine and cinnamon glazed pecans sounds yummy. Happy New Year! I love the fresh new look and wanted to say thanks for answering those pesky FAQ's. I can't wait to see your new (recent) projects. Hugs to you, my friend. Thanks, Kimberly and Happy New Year back at ya! Those are a lot of comments for you to address, but I think you did it quite well. If you post to a blog every day, you have to work hard. This pays my bills, but I get the complainers and then I feel bad. But I bet TV stations and magazines don't feel bad about having to have ads. Hope it's loading faster for most anyway, to get rid of that headache. No, I'm sure TV stations and magazines don't think twice about the ads. Love your new blog design, Kim -- it's so fresh and pretty! I'm working on getting mine changed too and after seeing yours I'm feeling especially anxious to get it done! I love your dining room vignette and think your explanation of advertising is great! Blogging can be pricey and it's great when you can turn a passion in to a business! It's always fun to get a fresh new look for our blog. Can't wait to see it and thanks, Julie! I enjoy your blog, it is the only blog I follow. Your emails are the only blog emails I receive. For a reason. Yours is well done, very quick and to the point. I thought you were probably a huge corporation with writers, photographers etc. Professional. I am not going anywhere. Thank you for all of your dedication and hard work. PS. I need ads, ALL of my shopping is from home. Happy New Year, Kimmie! Oh, I'm so glad I can visit you again. There for awhile every time I came by something would cause my computer to freeze up. Maybe some of the ads? I don't know, but I'm glad I'm here scrolling and no freezes! I've always loved your blog and your style. Here's to another year of blogging with you. Shelia, I am so glad it isn't freezing up anymore. I sure hope your knee heals quickly and yes, here's to another year! Hi Kim -- Guess you've had a busy day today answering or commenting about your blog. I don't care about the ads, I care about the contents of your blog. Anyway, I do have two questions for you. First, where did you get that awesome wood tray you have in the beginning? And secondly, I remember when you did your bathroom makeover, but I don't recall the part about refinishing your tub. Was that expensive? Thanks so much, I love your blog! Karen, the wood tray is from Antique Farmhouse or Decor Steals, but I don't think they have sold it again for awhile. Maybe it will come around again. The cost for the tub to be refinished was $565. It was much cheaper than having it ripped out and replaced. Thanks for reading! I applaud you for addressing this Kim and I never have had a problem when it comes to viewing your blog (adblocker in place). What I do find annoying on many blogs is the pop up to join the email list that covers half the screen and on a tablet or mobile it's hard to click that off! I'm so glad that you don't have that and follow you anyway;-). Great post! Janet, those email subscribe pop up boxes drive me batty. That is one thing I refuse to have. Oh thank goodness you won't be adding the email subscription pop up boxes! I'm seeing more and more bloggers using them and not only are they highly annoying, I feel like they're an insult to my intelligence. If the blogger has a subscription box somewhere on their sidebar, I think I am capable of figuring out how to find it if I want to subscribe to emails. Since they seem to pop up on every page the reader clicks on, I'm finding I am visiting those blogs less and less. As long as my computer's load time is not negatively affected by ads and the ads don't cover the blog content, I don't care how many ads there are. Truncated posts...well I still hate those but inasmuch as most all bloggers are truncating these days, I'm just more selective about what I click over to read, whereas before my favorite bloggers converted to truncated formats, I would read every single thing they posted, from start to finish. Hi Kim, I enjoy viewing your blog and your beautiful home. The ads don't bother me. Thanks so much for designing a quality blog for all of us to read every day. Every time I visit, I feel like I am absorbed in the pages of my favorite magazine! I admire the fact that you and Mr. Savvy have worked hard to have such a lovely home, and that you are gracious enough to share it with all of us. :-) I never even notice the ads because I am so wrapped up in your pretty pictures and your witty words. My oh my! I am shocked that people actually complained about the ads. I don't think you have too many in fact I think your blog looks great. I enjoy your blog a lot and I say "you go girl!" Keep up the great work! Awe, thanks so much, Debra! Thanks for the note!! I also felt about a month or two ago that the ads were actually taking over your blog, like it had a virus or something, so I was able to goggle "how to block ads" and that really helped!! Thanks for the Explanation, I am sure many appreciate it! Thank you, Susan. Sorry there were so many ads before. I appreciate everything you do to make your blog such a success. 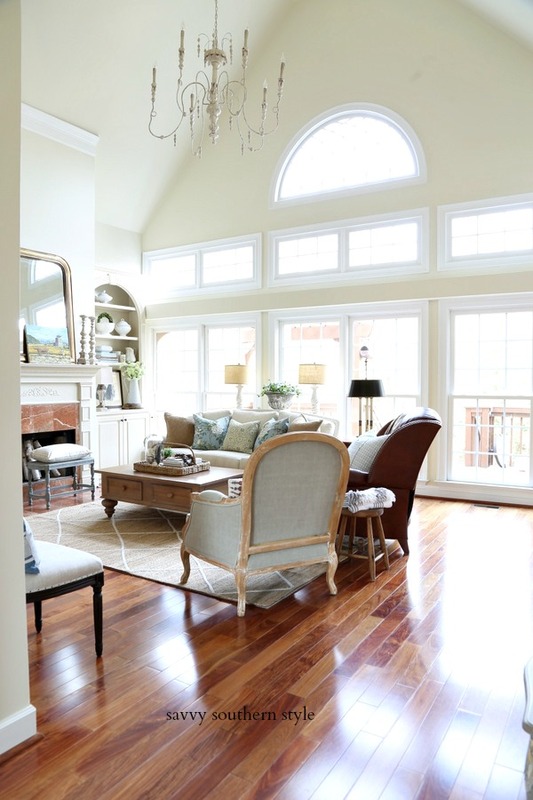 It requires a large amount of your time to share your projects in your lovely home. I don't think I would have ever gotten the confidence to try chalk paint if I had not read your blog. It is a favorite part of my morning routine with my coffee. so much of your home has been an inspiration to me in my home. Thank you for your time and your willingness to snoop in your home! Lol. I wish you continued success in the new year! Thank you, Molly. Blog posts may not be everyday this year. May cut back some. Goodness. Some people just need to get over it. Blogging is a job, too! Well said! Yes, it sure is, Carrie. Thanks. First, I have been enjoying your blog for years even though I rarely comment. It is a true inspiration to me! As for the ads, most successful blogs do have ads on them. I love your new look and can tell you that your blog does upload quicker now, a real plus. As a person who has attempted to make my own blog a success I know that you have dedication hours of work to make your blog what it is today. Thanks for being candid, Kim! Thanks for writing this, Kim. Just this morning I got an email from a reader complaining about the ads on my site. I think I'll send her a link to this blog post. ;) Love your new look! That's too bad, Jennifer. They could just not say anything and move on. Kim, I love your blog. I have followed you since your RateMySpace days. I look forward to seeing your emails pop up so I can see what you have been up to. Your decor and home have been the inspiration for a lot of my own projects. Your sunroom is my favorite room of all. It was used to model our sunroom that we built in 2011. I have referred lots of my friends to your blog for decorating ideas. Your ads don't bother me. I have found some good deals and decor by clicking on those ads. Glad to know there is money in blogging. I have considered starting one after I retire the end of the month. Thank you for all your hard work and thanks for taking the time to explain how and why you do what you do!!!! Another follower from way back when. Those were the days when we had Rate My Space before it went downhill. Good luck if you start a blog! Your blog is one of the first that I started reading about 3 years ago and one of the few that I still read. As far as the ads, a little pesty but not enough to even mention, no less complain about. I started a little blog a little while ago just so I can participate in a challenge in the future. I look at your ads as a sign of a very successful blog. And you certainly don't (in my opinion) owe an explanation but it was nice of you to do so. Happy New Year. Thank you Cathy for continuing to be a reader! I ignore or click away the ads! Love your blog and all it's inspiration. You don't have to explain why you do what you do! Wow, Kim, lots of comments, lots of love here. I understand how hard you work and I don't mind the ads. I will say that I'd probably pay to read your blog, that's how much I enjoy it! Bravo! Oh, Erin you are too sweet! Hi Kim, I'm with the previous commenters-- you certainly don't need to explain why you have advertising on your blog. As blog advertisements go, the ones on your blog are very unobtrusive and I hardly notice them at all. I think it's great that you make enough money to pay for your home improvements and blogging expenses. I hope to do the same with my blog some day. Yours is one of the first blogs I started to follow. I enjoy reading your posts and looking at the photos of your lovely home-- I was so thrilled to find that I still had a copy of that French Country magazine that featured your home a couple years ago! Hi Kim, I don't think you have to justify why you have adverts on your blog, but very gracious of you to do so. People will always moan, fact of life, but what I say is if you don't like the content don't read it. Would you watch a programme you don't like....NO! I love your blog, it brightens up my day. Keep up the good work. Thanks for explaining. I enjoy your blog! It's one of my favorites!!! Keep on truckin', Kim! I've sure enjoyed reading all these comments - it's so nice to hear your dedicated followers supporting you and your lovely blog. Oh my gosh that's what the delete button is for! Bless your heart Kim for taking the time to explain all of this. What you have created is so inspirational and way better than a magazine because we have gotten to know you. However you and Mr. Savvy want to run your lives is up to you and I'm just happy to be along for the ride. I'm so glad you had the kahunas to write this Kim! You deserve to make all kinds of money from all your work here, and your ads are not intrusive AT ALL! I love the new design, and I'm glad you're educating people a bit here about what it takes to keep a blog going and the importance of bloggers being able to cobble together an income for the work they do. Great post from a great blogger :) Happy new year!! Kim, I, like many others, are so inspired by you! Keep doing what you are doing. We are lucky to have your beautiful blog to visit! Happy New Year! Great post! I'm not jealous of you anymore......well, I'm less jealous of you than I was. I hope to have more time to do "home" stuff after I retire. I understand the need for the ads and they've never bothered me. Love your blog. Happy New Year! Ha ha, Jane and thanks for reading! My cousin gave me some magazine she had bought so I could read them and I was just amazed that one page out of two is an ad... And she paid for them. Blogs are wonderful free source of inspiration, so a few ads on the side don't bother me... And for the other ads, Adblock does wonders! Magali, I know it is crazy how many pages of ads there are in magazines now and barely any content anymore. I have quit renewing several of my subscriptions because of the lack of content. Love, love, love your blog! There's only one thing I would change: I wish you would left justify rather than center your writing. It may just be me, but it is annoying and harder to read, in my opinion. Linda, I'm sorry the centered writing is harder for you to read. If I justify to the left it looks funny to me because the photos are centered and the writing is way over on the left and I guess I like symmetry. Thanks so much for reading.